Commercial & Residential Air Duct Cleaning Manhattan New York Do you appreciate crisp, refreshingly clean air in your home and business? Air duct cleaning provides a way to revitalize and reinvigorate your living spaces! To obtain quality air, ask us to supply regular certified duct cleaning for you. Have you ever heard someone wondering: “How will I find experienced air duct cleaning near me?”. The issue of locating “duct cleaning near me” won’t pose a concern after you try our excellent HVAC duct service! We know how to clean air ducts so customers breathe cleaner air. Call today to request this service in your NYC neighborhood simply by dialing (917) 960-2272. Our company serves both homeowners and businesses. We offer competitive low rates and we supply free estimates. Our air conditioning duct cleaning helps remove embedded dirt, grease, pollen, and other allergens from the ductwork connected to air conditioner and furnace installations. We perform vent cleaning in addition to air conditioning duct cleaning to ensure our technicians furnish a comfortable, revitalized environment. Don’t allow a dirty or wet HVAC duct to spread mold on air vents or otherwise degrade the quality of air in your home. HVAC duct cleaning provides access to healthier, more refreshing living spaces. Most people today appreciate the importance of seeking periodic air conditioner cleaning from a skilled HVAC repairer to maintain a home or business cooling system in optimal condition. Yet HVAC duct cleaning also contributes to the circulation of quality air. In the absence of attention to ductwork and vent cleaning, a centralized air conditioner may simply recirculate dirty air and allergens through the premises. To prevent the spread of mold on air vents and interior ductwork, you’ll want to consider requesting our helpful AC duct cleaning assistance. The reasonable air duct cleaning cost may pleasantly surprise you! Call (917) 960-2272 now to schedule an appointment with us. Breathe cleaner air. Call today by dialing (917) 960-2272. We look forward to assisting you in obtaining more comfortable premises by helping to ensure the air in your home or office circulates through sparkling clean ductwork and vents! Instead of going online and hunting for “COMMERCIAL & RESIDENTIAL AIR DUCT CLEANING Manhattan New York” services using a search engine, we hope you’ll remember to call (917) 960-2272 instead. 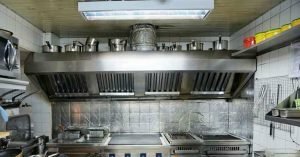 If you obtain regular air conditioner cleaning to enhance the efficiency of your central air and central heating system, you’ll certainly want to explore the advantages of receiving regular vent and ductwork cleaning. This service helps remove potential allergens from indoor air. It revitalizes and refreshes air quality by removing the hidden dirt and grime which contributes so frequently to stale air quality and lingering odors. This type of cleaning helps reduce the presence of many different allergens indoors. If someone in your household suffers from red and watery eyes, a sore throat, or other unwelcome symptoms due to pollens, for example, our skilled HVAC duct cleaning should make an enormous difference in their quality of daily life. Cleaner ductwork contributes to a more comfortable residential and working environment. We employ specialized cleaning technology to remove dirt, grime, grease, pollen spores, pet dander, cobwebs and other unwanted debris from the interiors of HVAC ducts. Our technicians have obtained training and expertise in this field. Ductwork in many buildings proves challenging to clean because of its hard-to-reach interior location. Ordinary off-the-shelf cleaning tools simply cannot access it completely in many cases. By choosing our service, customers gain the benefits of skilled cleaning geared specifically towards largely inaccessible locations within a home or business. We’ll help improve the quality of your interior air, without damaging ductwork by using harsh cleaning agents. Let us assist you in obtaining the revitalizing, refreshing living spaces you deserve! Commercial & Residential Air Duct Cleaning Manhattan New York Call us now at (917) 960-2272 to request a free estimate or schedule a service appointment. Let our expertise help you clear the air and breathe easier! Why should you consider calling (917) 960-2272 now to schedule a service appointment with us? Just consider an example of the type of benefits capable ductwork cleaning offers. If you live in this area and you enjoy entertaining at home, you won’t want to overlook the importance of providing guests with refreshing, high quality interior air. Consider this scenario: if you welcome guests to your premises for a dinner, would you feel more carefree entertaining in a home with freshly cleaned HVAC vents and ductwork, or not? Imagine how pleased everyone will feel spending time visiting a home or apartment supplying crisp, revitalizing and clean indoor air! This type of setting promotes more gracious entertaining and a happier, more comfortable environment. It makes sense to schedule this type of specialized cleaning service at least every one or two years in order to ensure your heating and cooling system does not simply recirculate air through dirty, foul-smelling interior ductwork. Using your residence becomes more enjoyable when you can depend on a high quality of interior air! Perhaps you’ve visited cities in which smog alerts sometimes occur? Today public health officials recognize the importance of air quality as an element contributing to a comfortable daily life. Why not make sure your living spaces reflect the importance of fresh, invigorating air? Take action today to make sure your home and business environments don’t harbor dust, grime, pollen spores, and other unwanted debris embedded within interior HVAC ductwork! If you or a loved one sustains discomfort breathing stale air, it simply makes sense to ensure you’ve arranged for periodic residential ductwork cleaning. Many business owners already recognize the importance of this goal. 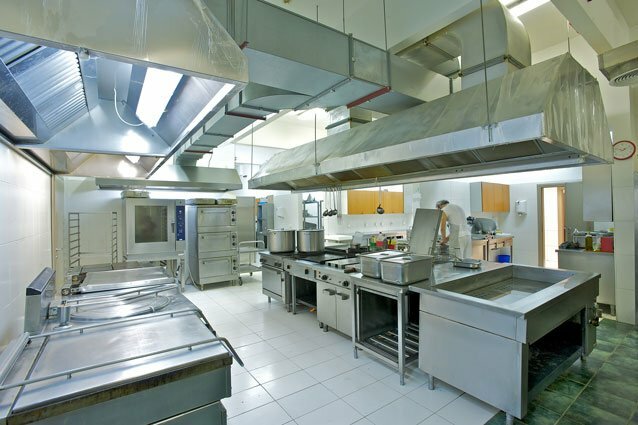 We routinely perform both residential and commercial ductwork cleaning in this urban area. Our technicians gain satisfaction knowing they’ve contributed to a higher quality of interior air for New Yorkers. Did you know, our company currently welcomes new customers? You have a wonderful opportunity to try our ductwork cleaning services at this time. To secure this service, simply go ahead and schedule a cleaning appointment now by calling (917) 960-2272. You may also call us for a free quote. We look forward to helping you enjoy an enhanced quality of ductwork cleanliness in your home or business!